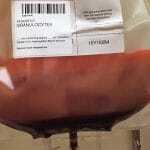 Can transfusion practice be changed? Maybe not, but AABB Technical Manual editor Dr. Mark Fung believes it can be influenced for the better. 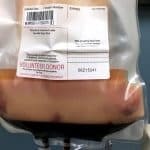 He shares his 6 practical tips to influence transfusion practice! 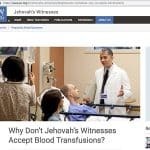 Many in my role have struggled for years to figure out how best to have some effect on the way blood is ordered and used in the facilities where we work. 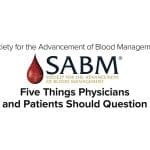 In recent years, the “patient blood management” movement has led to much more visibility to these discussions, as hospitals (and especially hospital administrators) have become very interested in monitoring and “improving” (they usually mean “decreasing the amount of”) transfusion therapy. 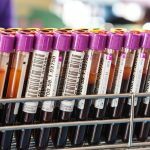 Dr. Mark Fung has lived through this, and he has a ton of practical experience with patient blood management efforts in his hospital (University of Vermont Medical Center). Mark is here today to share “6 Practical Tips to Influence Transfusion Practice.” Whether you are a blood bank doctor, a nurse, a clinical physician, or a laboratorian, you will find useful information in this continuing education episode of the Blood Bank Guy Essentials Podcast! 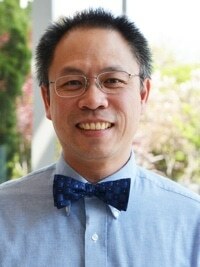 Mark Fung, MD PhD, is a Professor of Pathology and Laboratory Medicine at the University of Vermont. He is vice chair of quality and clinical affairs for Pathology and Laboratory Medicine at the University of Vermont Health Network, and director of clinical laboratories at University of Vermont Medical Center. Dr. Fung has served in a number of leadership capacities within the AABB and other related organizations. His work includes collaboration with the Biomedical Excellence for Safer Transfusion (BEST) research collaborative and the International Collaborative for Transfusion Medicine Guidelines (ICTMG). Mark has participated in the development of multiple guidelines and the implementation of transfusion reaction reporting using standardized definitions. He is the editor-in-chief for the 18th and 19th editions of the AABB Technical Manual, and is on the editorial board for the journal Transfusion. In addition, Mark is the director of the University of Vermont Medical Center’s HLA/histocompatibility laboratory and has a long abiding interest in the selection of HLA-compatible platelets for transfusion-refractory patients. DISCLAIMER: The opinions expressed on this episode are those of my guest and I alone, and do not reflect those of the organizations with which either of us is affiliated. Neither Dr. Fung nor I have any relevant financial disclosures. Brouwers C et al. Benchmarking the use of blood products in cardiac surgery to stimulate awareness of transfusion behaviour; Results from a four-year longitudinal study. Neth Heart J 2017;25:207-214. Goodnough LT et al. 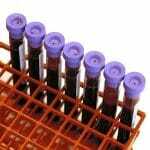 How I use clinical decision support to improve red blood cell utilization. 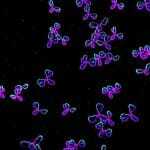 Transfusion 2016;56:2406-2411. Politsmakher A et al. Effective Reduction of Blood Product Use in a Community Teaching Hospital: When Less Is More. Am J Med 2013;126(10):894-902. Tinmouth A et al. 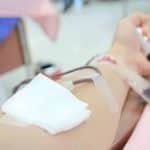 Reducing the Amount of Blood Transfused; A Systematic Review of Behavioral Interventions to Change Physicians’ Transfusion Practices. Arch Int Med 2005;165:845-852. Thanks for this episode… I found your site by rummaging through episodes on EMCrit by Scott Weingart. 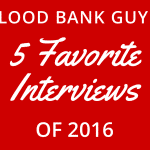 I’ve listened to both related podcasts on your mutual sites and several of yours here on Blood Bank Guy. Thanks for your hard work in creating this impressive site! As a CRNA, I appreciate getting to hear the perspective of blood bankers and the inside scoop on transfusion medicine. All of those interviews have practical tips that might help you see things in a different way. Let me know if you have questions or thoughts on any of them (or any others you check out! ).